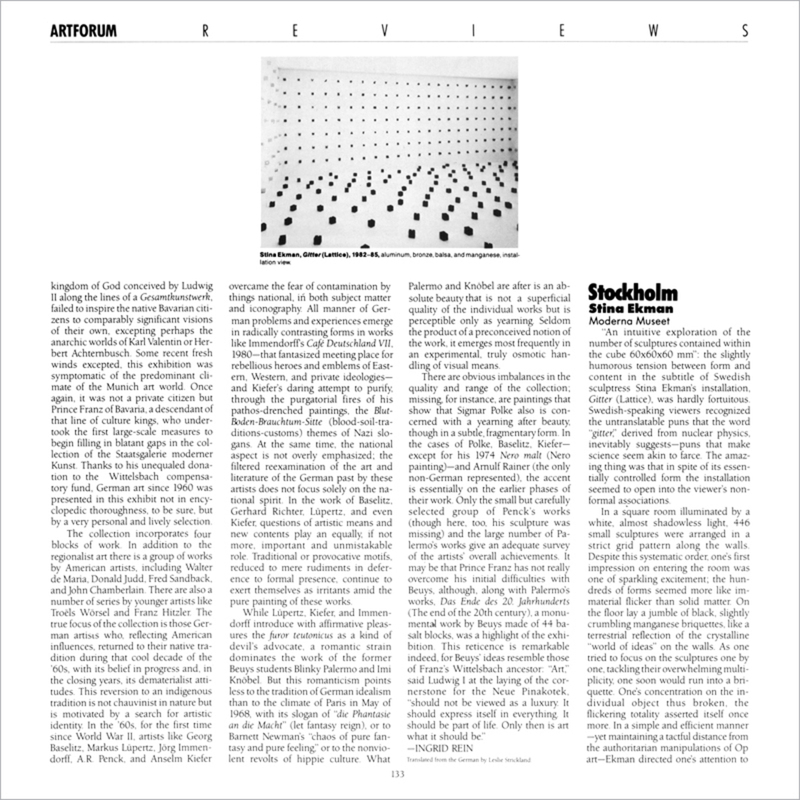 “An intuitive exploration of the number of sculptures contained within the cube 60x60x60 mm”: the slightly humorous tension between form and content in the subtitle of Swedish sculptress Stina Ekman’s installation, Gitter (Lattice), was hardly fortuitous. Swedish-speaking viewers recognized the untranslatable puns that the word “gitter” derived from nuclear physics, inevitably suggests—puns that make science seem akin to farce. The amazing thing was that in spite of its essentially controlled form the installation seemed to open into the viewer’s non-formal associations.